In a clear signal that China is becoming yet more flexible in its recruitment of expatriates, China South Airlines has announced that Parc Aviation has been selected to find A330 Captains for crewing assignments. The move marks another exciting chapter in the airline’s history as it becomes one of the ever-growing number of Chinese airlines offering career enhancing opportunities to experienced pilots from overseas. 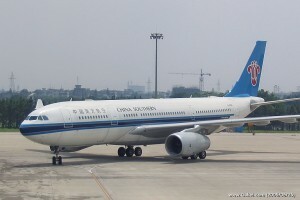 China Southern is the largest airline in China with headquarters at Baiyun Airport in Guangzhou, the capital of Guangdong Province. As the third largest city in China, Guangzhou boasts a fast growing international expatriate community primarily as a result of the spectacular growth in the Pearl River Delta industrial powerhouse region over the last decade. Parc Aviation tell us that sourcing work has already commenced for this project which will be co-ordinated and managed through Parc’s regional Chinese offices in Beijing and Shanghai.